Welcome to summer everyone! How did it get to be June so quickly! It was a long winter for many, so here’s hoping this summer brings you lots of sun, some rain (at night if possible), loads of fun and laughs. 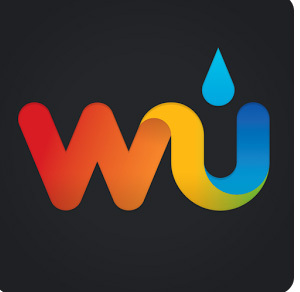 With this June 13th eBlast, we begin our summer weekly short blurbs so you are able to see all that is going, much of which we hope you will find of interest to you! There is a great deal to cover! Please remember that if you are reading this on your smart phone, all the links you could possible want (hopefully) are at the end of the eBlasts [whereas if you see this on your computer or tablet all the links you are familiar with are there on the right] plus some new ones [bolded]. And should you not see a link you would find helpful, please contact Hilde to let her know! 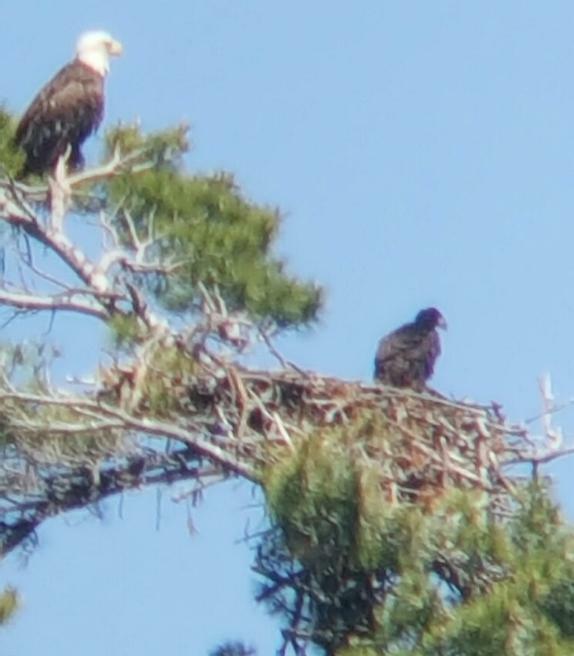 The Eagles Have Returned to A199 – Chingwauk Is. 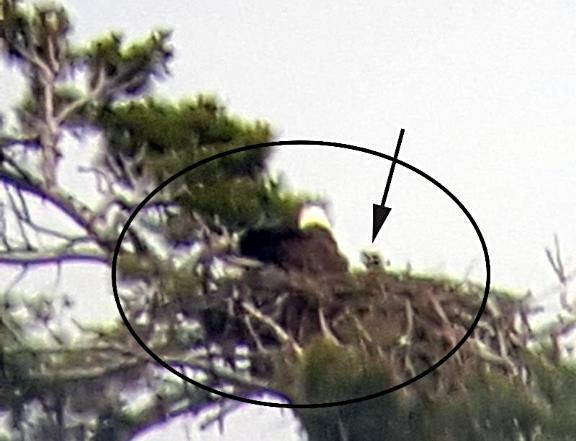 and with them, an Eaglet! Thanks Barry and Becky Middleton! Pictures were taken May 21st and June 10th. How quickly they grow! Above is a picture from last year’s brave & happy participants! All Ages Welcomed! The First 30 entrants are free! who love all kinds of exercise and the out-of-doors! Kayak or Paddle around the Ojibway Island! Need a kayak or canoe? There are a limited number available…you can let us know when you register! Need a partner? Let Virginia know! Be sure to sign up early to get your t-shirt! All participants will receive a FREE Ojibway Club ice cream cone! By now, most all members should have received their Yearbooks. Thanks again, Nancy and Jim! I hope you have had or shortly will have a chance to open the yearbook – and noticed the new section on Emergency information. Some might find this information dry…and you might be right! In some ways it is. But it might just be that dry stuff that is the difference between life and death, or between a minimal accident and long hospitalization that would keep you home in the city all summer! The Artist of the Cover Photo is Marc Krofchick! Marc tells me that he took the photo that is on the cover of this year’s book as he looked out from his Echo Island (A129-1) looking towards the Hole in the Wall. He spoke of being outside for about 30 minutes just taking picture after picture until the storm forced him indoors! He certainly captured last summer’s weather for us! Thank you Marc! Marc and his wife, Wendy, had been cottagers further south but wanted to find a place on ‘bigger water’ where their children would want to visit. Their son, Conner, found Pointe au Baril on the Internet with islands to buy, thought the area looked interesting; and, after seeing just a few cottages for sale, Wendy instantly fell in love with Echo Island the moment she stepped out onto the rocks saying, “This is the one!! Now in their their 4th summer cottaging in PaB, they exclaim, “We simply love it! !” The entire family is cottaging again – Penny, Mad, Jas, Connor and our three Bulldogs Ruby, Oscar, and Echo (named after their Island) – with plenty of room for friends! ﻿Isn’t that what Pointe au Baril is all about! 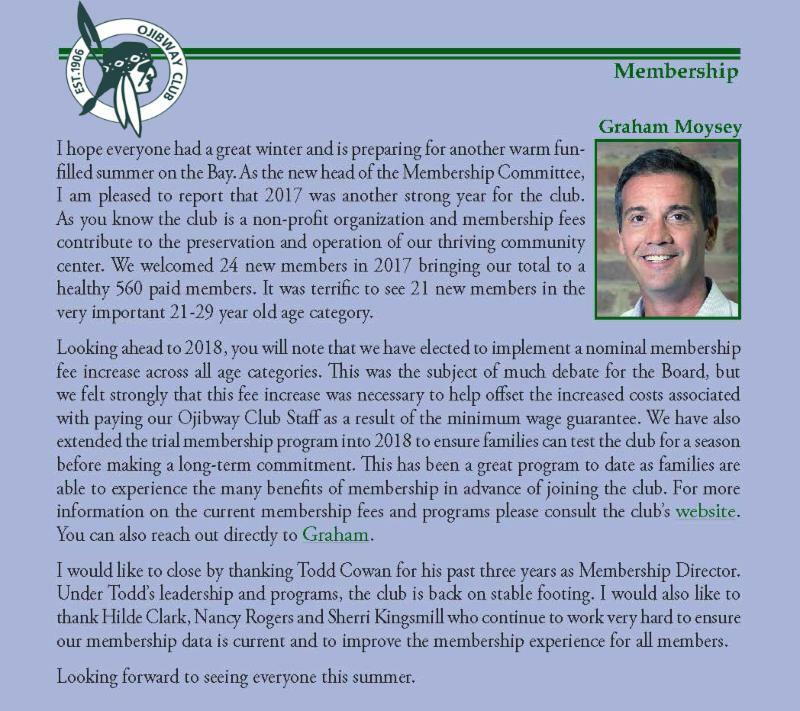 Inadvertently, Graham Moysey’s report on the Ojibway membership was omitted from the Yearbook! My apologies to Graham! Or how about “an ounce of prevention is worth a pound of cure“. emergency? Might the exercise actually help all family members to consider what they would/could do should an emergency arise – either in the boat or at the cottage? 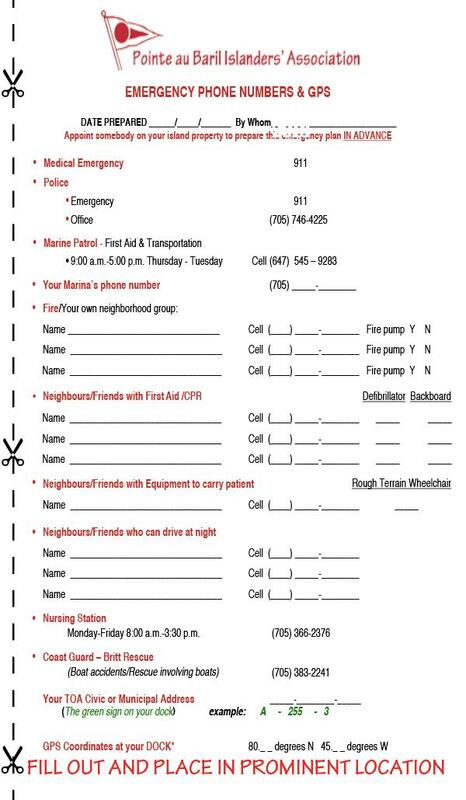 Perhaps the exercise would also encourage you to talk with your friends and neighbors about what they could contribute – be it a skill set or piece of equipment that might be helpful in carrying a patient (you or your family member) from the cottage, down the rocks and into the boat. Whose boat could carry the unconscious person? Who can drive the boat at night to the station for (hopefully) the awaiting ambulance? 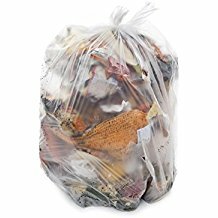 Remember to place all trash and recycles in clear plastic bags and place at the transfer station at the Station. During the summer, there is a ToA designated person there to assist in hauling your bags from your boat to the transfer site. At no time should trash of any kind be left on the docks. The hours of the Transfer Station and Big Item Pickup Days can be found to the right (or bottom) under Associated>Township of the Archipelago of this email. 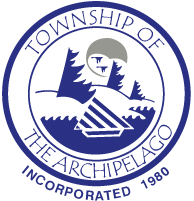 The Township of The Archipelago has a two-stream recycling program, fibre and containers which must be disposed of in two separate bins. 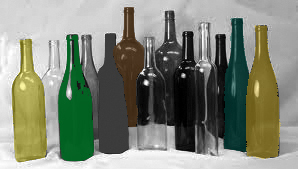 These materials are accepted at all of the Township’s transfer sites and the Site 9 Landfill Site. Residents are encouraged to recycle and to follow the acceptable waste recycling guide. #4: Recycling Batteries in PaB & Site 9 Available! Rechargeable and single-use batteries weighing 5 kg or less each. No wet-cell, damaged or defective batteries accepted. Put into clear bags and look for special drop-off place at PaB Station! And don’t forget to separate out the alcohol, wine and beer glass bottles and any alcohol cans into their OWN clear plastic bag and bring them to Murray Kennedy’s trailer near the transfer station. As donations – Murray tells us that the money received from the return of these containers goes directly to help programs and needs in Pointe au Baril – including the Habitat for Humanities building project in PaB!!! ‘Fishing season’ closes during species’ critical spawning and egg-hatching periods. Any fishing pressure during closures can harm fish survival, as fish that are guarding nests will leave to chase a lure or bait and it doesn’t take long for a predator to pounce on the eggs in an empty nest. It’s really important—even if you intend to release the fish—to leave out-of-season species alone. And of course, keeping a fish caught out-of-season is illegal. June’s a busy month when some species are legal to catch all month long, and other species’ seasons open at different times of the month. Northern Pike and walleye seasons have been open since May 1st. (With the exceptions of the fish sanctuaries that are regularly in place until the third Saturday in May at both Sucker Creek in the Station, and in the Shawanaga River.) 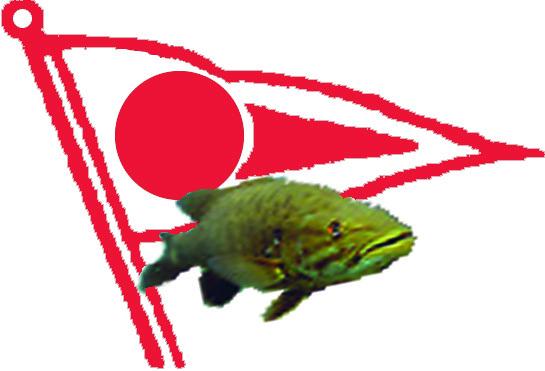 Please remember that in our waters, walleye between 16 and 22 inches must be released. This year, muskellunge season opens on this upcoming third Saturday in June, the 16th. The only way you can keep a muskie is if it’s longer than 54” inches, and you have a sport licence, as opposed to a conservation licence. Our waters have an international reputation for trophy-sized muskies, and these measures are in place to protect these rare beasts. Below are a couple of useful links: the Ontario fishing regulations guide for our area, Zone 14, and also the consumption guide for safe levels of eating fish in our area. 2. Receive an activity kit full of crafts, games, and much more! 3. Enjoy fun, outdoor activities all summer long. There’s more! Send GBBR your nature questions and discoveries. Plus visit this webpage to find other great activities. 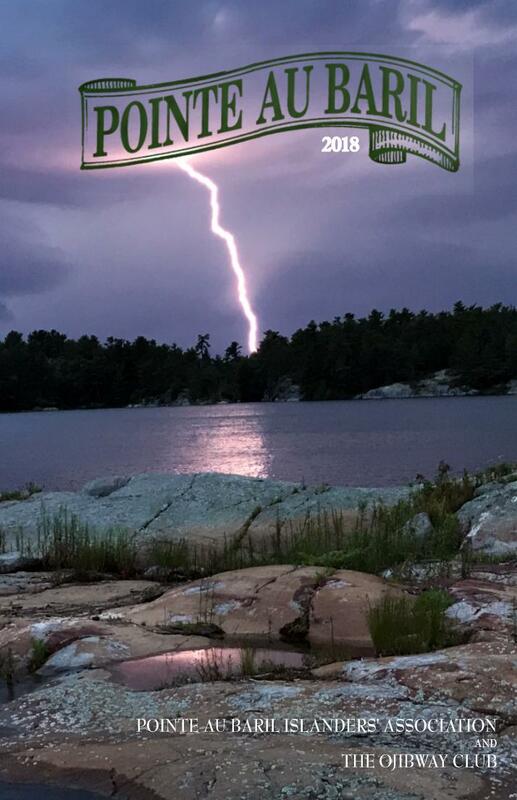 Georgian Bay Walk,Run, Pole Raised over $85,000! 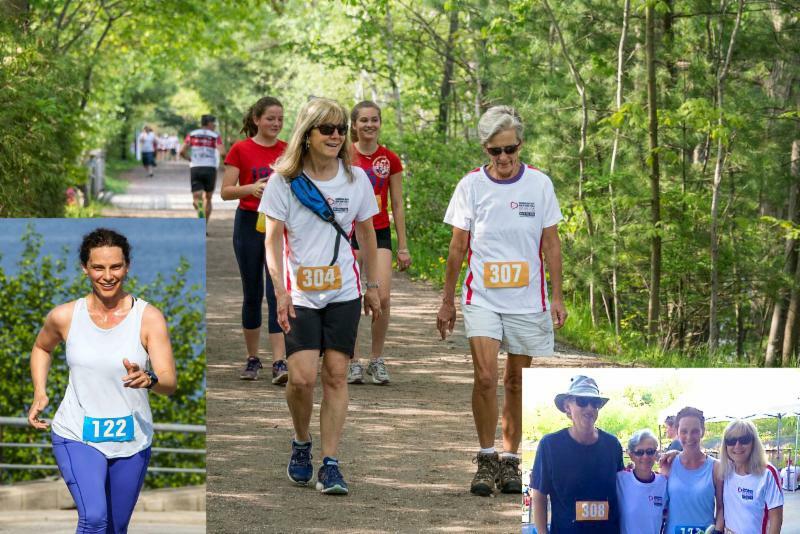 On Sunday, May 27th, the Pointe au Baril Cottager’s Team along with Team Desmasdon’s ran and/or walked in the annual fundraiser for the Parry Sound hospital. The event was a huge success, raising $85,000 to complete the purchase of the Health Centre’s new cardio vascular ultrasound machine. Thanks to the generosity of our community, the Pointe au Baril Cottagers Team were the top fundraising team, raising $24,986 or almost 30% of the total! Thank you to Desmasdon’s for both raising funds & participating again as corporate sponsors of this event! While we keep our fingers crossed that we won’t require the services of the hospital each summer, we also appreciate how lucky we are to have this facility so close to our summer homes. The Canadian Coast Guard Search and Rescue station near Britt, Ontario, is open and fully operational for the 2018 season. Britt IRB is on standby 24/7 from May 16, 2018 until September 5, 2018, ready to assist in all marine vessel and/or medical emergency situations occurring from Snug Harbour to Killarney, Ontario. 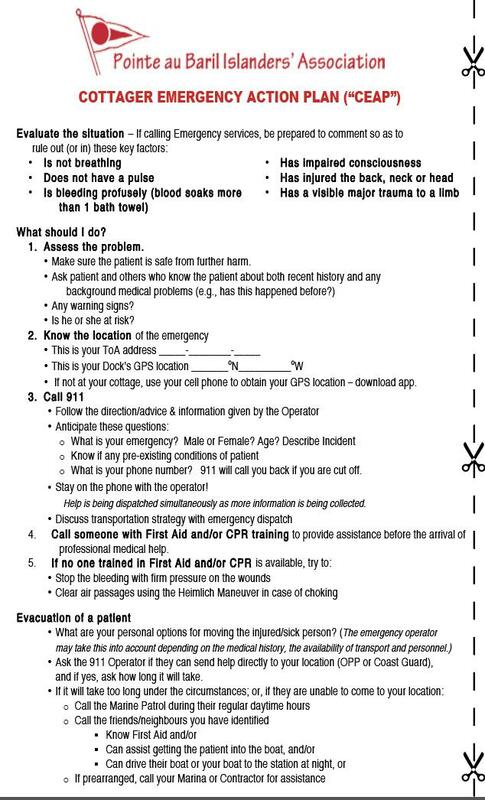 Britt IRB is a free service provided by the Government of Canada, and has no ticketing or law enforcement capabilities. In case of an emergency, please call *16 on your cell phone, 1-800-267-7270 on any phone, or the Coast Guard on VHF marine radio channel 16 for assistance. The Habitat for Humanity project in Pointe au Baril is almost a reality! Drawings will be revealed on site later this summer. Stay tuned! As you do a bit of spring cleaning before the start of summer, keep in mind the Florence Universal Rummage Sale on Saturday, Sept 22! At any time from now until September, please bring any and all donated items to the church door (back or front) so that they can be sorted for the Sale on September 22! 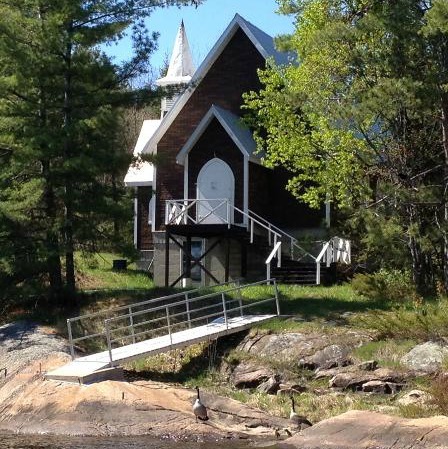 The church can be accessed either off the South Shore Road or from the Main Station Channel across from Desmasdon’s. All items should be in plastic bags and will be retrieved daily off the steps All proceeds go toward the maintaining of this historic building. Contact Barb Leitch with any questions! Each week, we will list the names of those who have provided updated information. However, the details of those changes is provided in a printable format for you to print out and then insert into your own cottage Yearbook for easy access! Joan Carter Roberts, former member with her late husband, Goodridge Roberts, A509, mother of Glynnis and Tim, sister of the late Mary Carter Ortved, aunt of Susan Armitage, April 2018.